Step by Step Guide for Getting Around Southern Spain Without a Car - Come adventure with me. 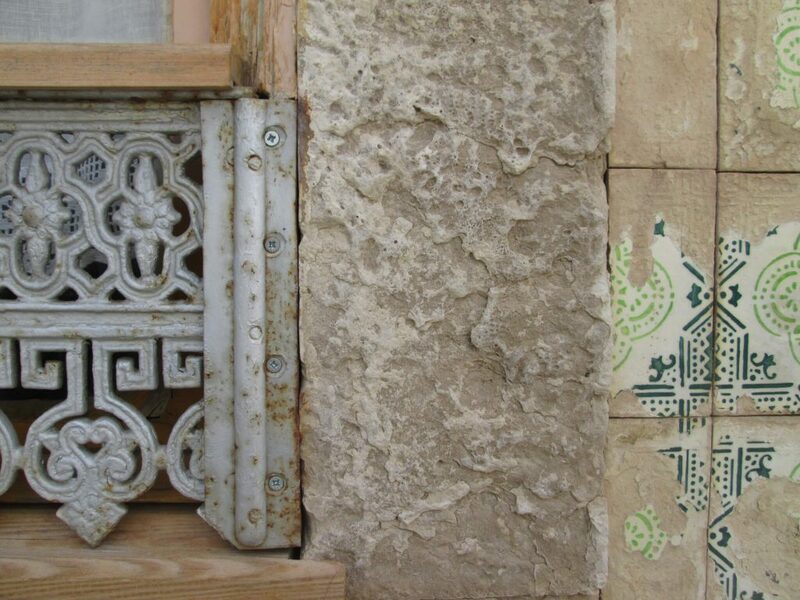 One of the best things about traveling is its puzzle. Working out the logistics of getting from one place to another via the public transit options and within a budget can daunt the best logician at times. So, in the spirit of helping out a friend, here’s how we conquered the southern coasts of Portugal and Spain, moving from Lisbon to Faro, Faro to Sevilla, Sevilla to Granada, and Granada to Barcelona without a car. 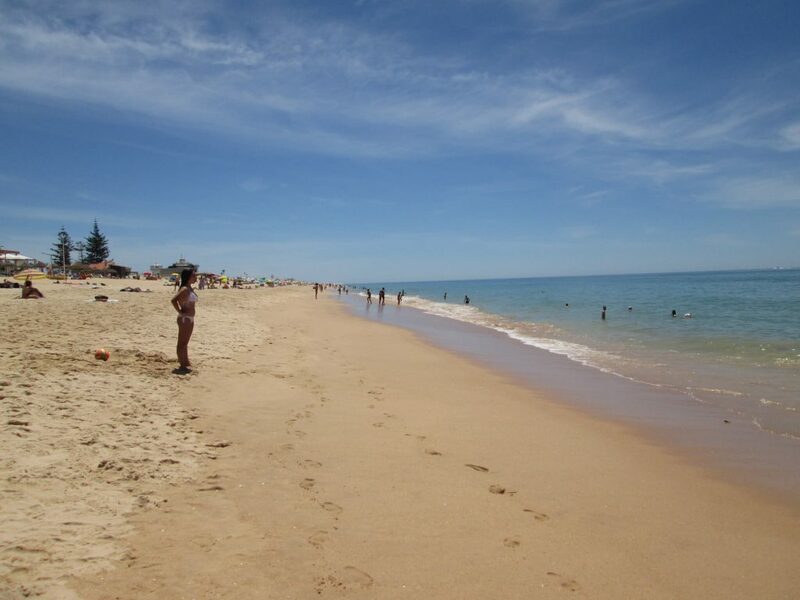 Faro, as in Faro-off from Lisbon, sits on Portugal’s southern coast. It’s a quaint seaside town whose population explodes from the middle of July to the beginning of September. Every other day it’s a locals-only fishing village with an old historic walled city as its center just trying to get by. I loved Faro. Its peeling paint, awkward bridge crossings to the beach, and miles of unexplored barrier islands make it my favorite getaway, so far, in southern Spain/Portugal. Getting to Faro: Take the Lisbon metro to the Sete Rios station, which is also the stop for the Zoo. Go upstairs and outside of the metro station. You’ll see signs to get to Faro via the train. To the left of the train ticket office, go outside and find the bus station. The vendor is Rede. Our tickets were 20 Euro for same day purchase, and the trip was about 4 hours. The bus arrives in “downtown” Faro. You can walk anywhere you need to go in Faro. By the way, you can take the more expensive train option from Lisbon to Faro, but we didn’t investigate it. In Faro, also be sure to walk around the old walled city, enjoy the waterfront, and have a crepe sundae. If you’re looking for a hostel, the 1878 Hostel was clean, comfortable, and full of interesting people. Although I really wanted to rent a car, we found that renting a car from Portugal and dropping in Barcelona was super expensive. The better idea would be to get to Spain, perhaps the border city of Huelva, and then finding a car there. Instead, we ended up on the bus. 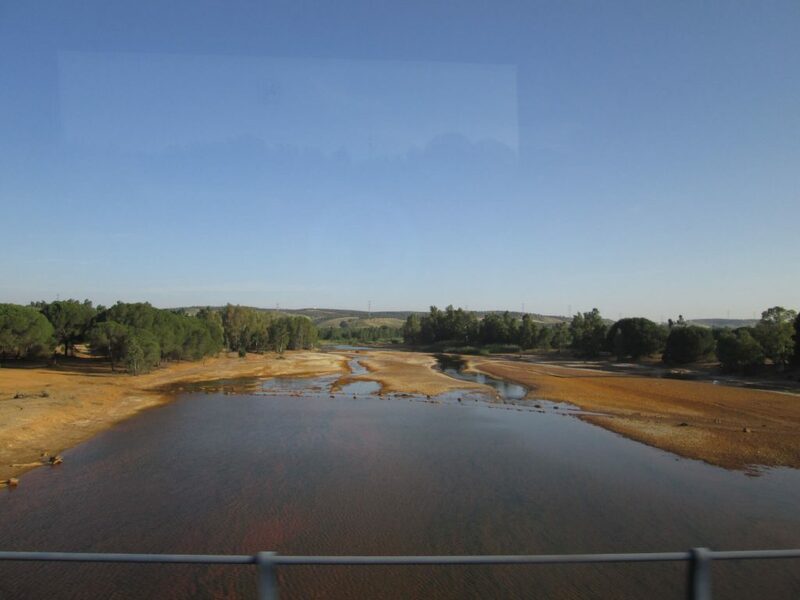 The bus from Faro to Sevilla was not nearly as comfortable as the one from Lisbon, but it served its purpose. 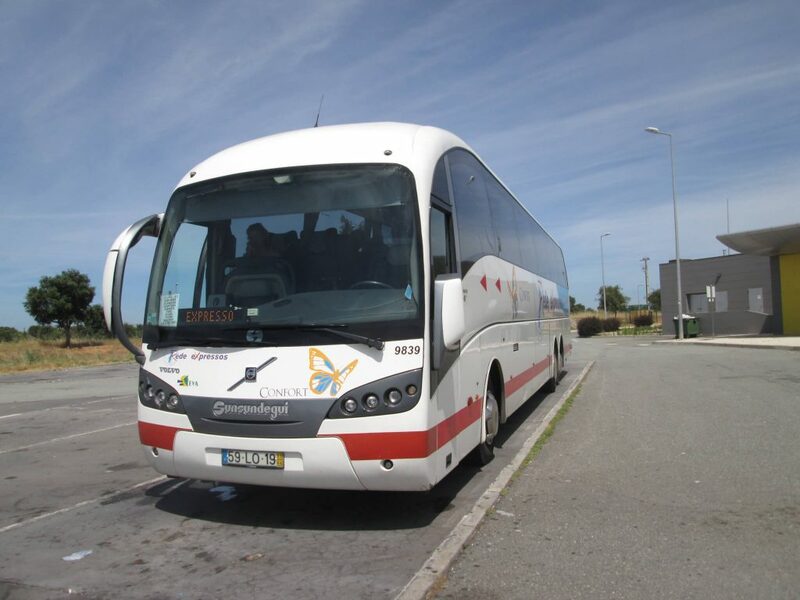 Getting to Sevilla: Because the trip is international from Faro, you have to catch an international bus. The service we used was on Alsa. We got our tickets at the counter the day before when we arrived into Faro for 20 Euro for the next-day bus. The lady at the bus counter was very helpful and kind. 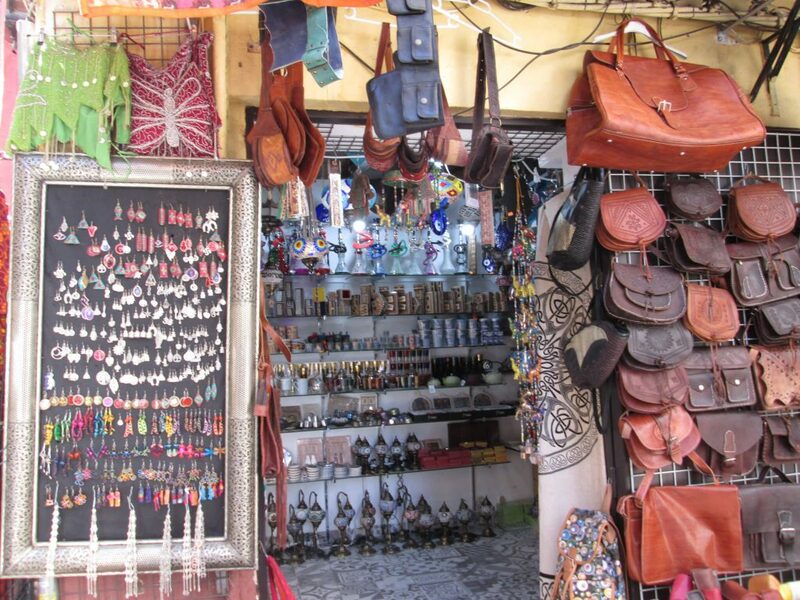 We could not use our Visa card though, as they only take national Spanish cards. I’m not sure what that means particularly, but in practicality, it means cash to me. The bus took about 3 hours, and the views were mostly agricultural. 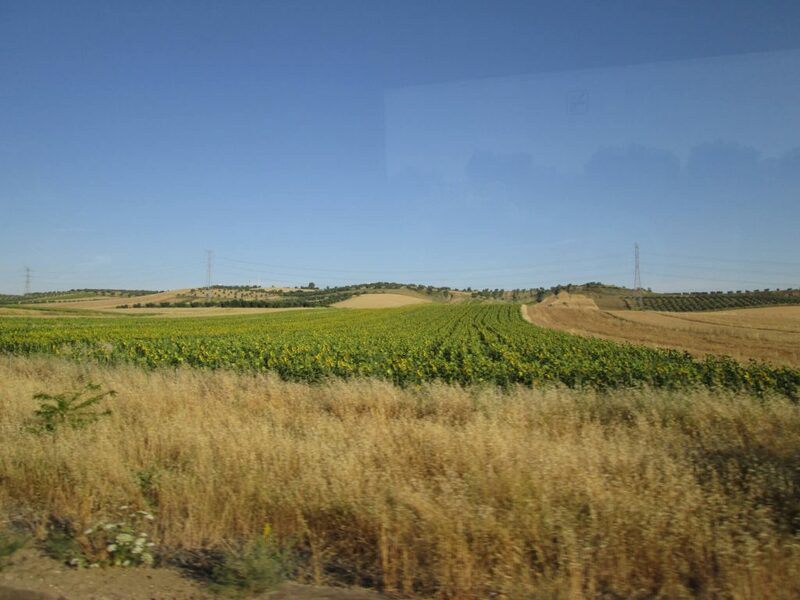 We saw lots of sunflowers, olive trees and vineyards. Crossing into Spain from Portugal was a nonevent. 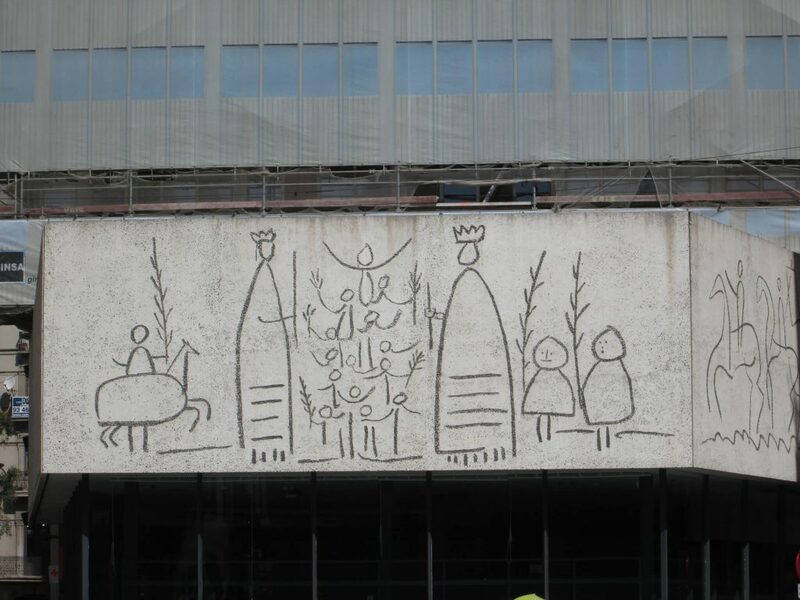 We arrived in Sevilla in the bus station Santa Justas, which was on the edge of town. 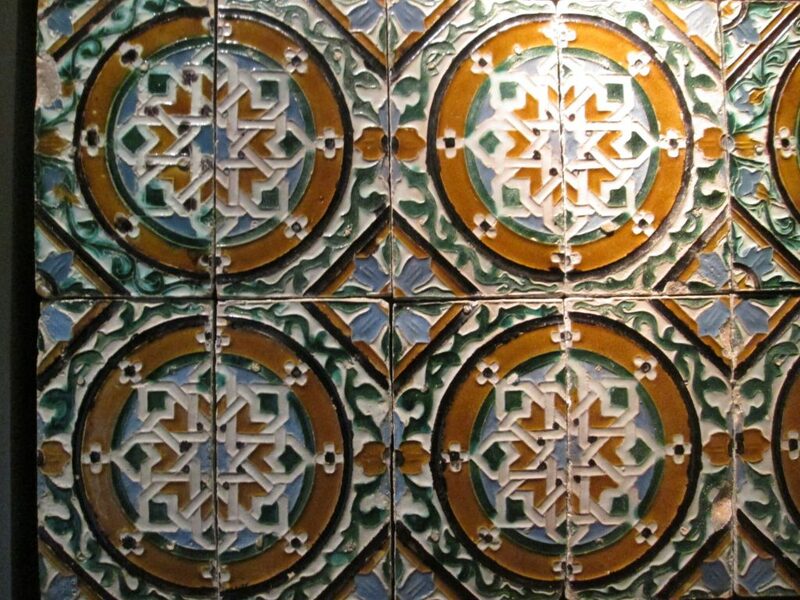 While in Sevilla, be sure to see the Alcazar. It’s the cheap (about $7) version of Alhambra in Granada and a pseudo replacement for missing Alhambra. Make sure you take advantage of the tapa scene as well, which is alive from 8 pm to about midnight’ish. 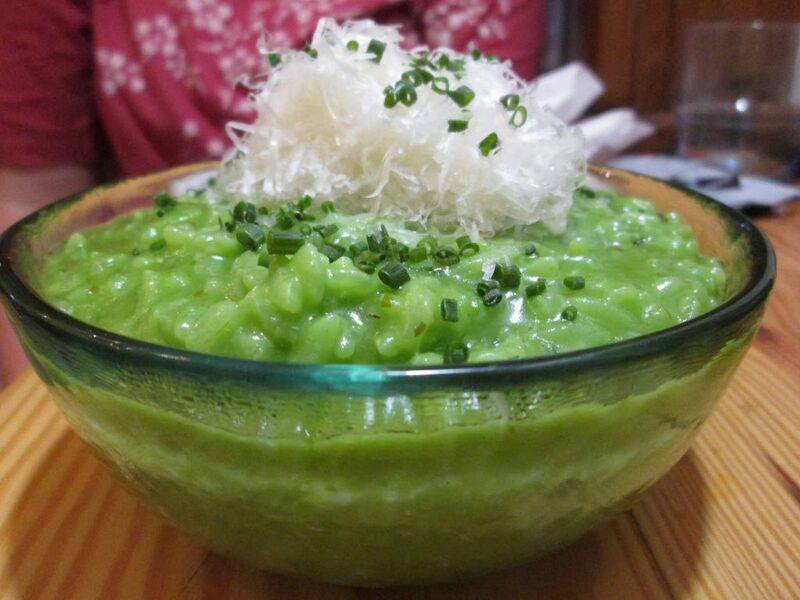 Some of the best food we ate in Spain was in Sevilla, where we tried razor clams, squid in ink, and a green risotto. Each tapa was about $5. As for a place to stay, I would not recommend our awful hostel, Samay. Be sure to read the fine print for where you stay. The one thing we kept hearing all over southern Spain was not to miss Granada. What we missed in the conversation was to not miss Alhambra, an UNESCO heritage site, in Granada. Little did we know that buying tickets for Alhambra requires a 6-week advance plan. We didn’t have the foresight, so we had to pass on Alhambra. We’ll catch it next time. Getting to Granada: Sold out trains forced us to stay in Granada for two days. We finally landed high-speed train tickets which took us within an hour of Granada. The tracks were under repair for the last 60 miles of track, so the train company put us onto a comfortable bus for the last hour. We got our train tickets online at Renfe, and we printed our boarding passes at the train station. You can get to the train station via the local bus AE or 21, which you can catch at the Golden Tower. It’s about 1.60 Euro. The bus driver makes change. There is no food on the train, so be sure to buy a snack in the train station or from the vending machines right next to the tracks. Since we missed Alhambra, we enjoyed other parts of Granada. Basically, we just walked around for two days. 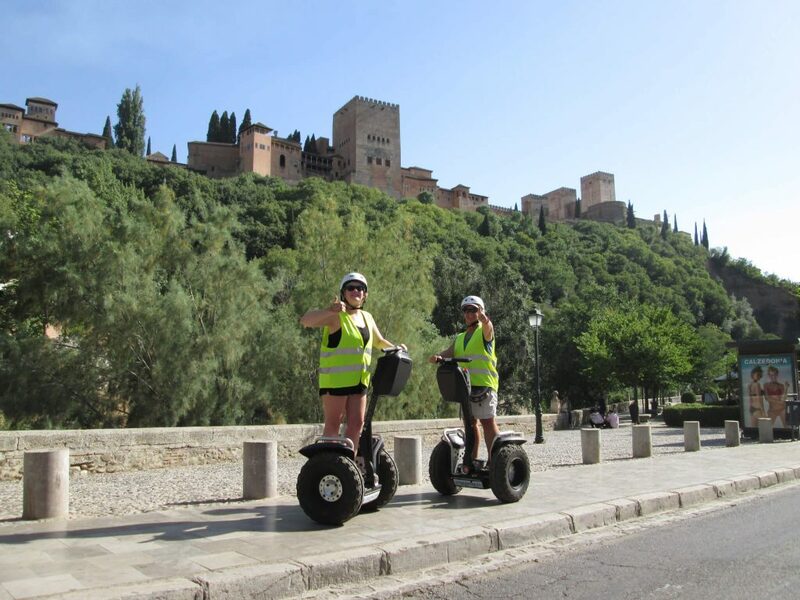 On the second day we rented Segways, which took us up to Sacromonte, the historic cave area. From there, we also got fantastic views of Alhambra. We stayed at the El Granado Hostel, which was well located, clean and friendly. By the way, rumor on the street is that you can get to Alhambra at 5:30 in the morning and get one of the limited amounts of day-of tickets they release every day. We didn’t try it, but a lady in our hostel did successfully. We gave up trying to get a train to Barcelona. We could have gone to Madrid, stayed a day, and then gone to Barcelona, but I didn’t want to go to Madrid. I had lived a summer there and wasn’t keen on returning. I’d rather spend my time in places I haven’t been before. So, I resorted to buying flights. Getting to Barcelona: Vueling, EasyJet, Ryanair, Transvia and Smartwings are all low-budget airlines in Europe that don’t routinely show up in conglomerate sites like Travelocity, Rome2Rio or Skyscanner. I find that I have to visit all the sites to find a good flight. Also, I’ve yet to find a good site that shows which airlines in Europe route to where in a convenient view. If you know of one, please let me know! Anyhow, after scanning Vueling, EasyJet and Ryanair, we found tickets from Granada to Barcelona for 119 Euro. That was the best we could do with two days notice. I’m SURE you can do better with more notice. We took the airport bus on Alsa from the Placia Congressio stop to the airport. It cost 2.90 Euro. At the airport, we hopped a Vueling flight to Barcelona, which took just over an hour. Getting from the airport into Barcelona was one of the easiest transfers we made in all of Southern Spain. When arriving at the airport, follow the autobus signs. You’ll go down to the bottom level of the airport, where you’ll catch the A1 bus into town for 5.90 Euro. You can buy tickets from the ticket machine with a credit card that uses a PIN, or you can charge or pay cash with the driver. If you have cash, try to have 10 Euro or less. The bus will drop you at Placa Catalunya, which is right of La Ramba and central to all transit. In Barcelona, you can get a day transit pass that expires at 1 am where you can use on all the transit. We ended up walking everywhere we went. We started with a free walking tour. There are many, and they all leave at 11 from Placa Catalunya. Ours was average–but we got a good lay of the land and overview. We paid our guide 10 Euro for two of us. 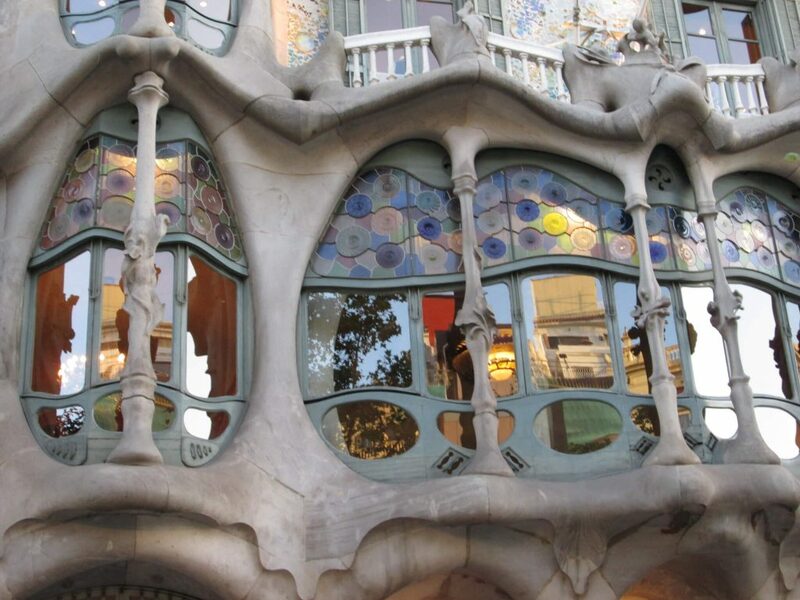 From there, we went to the Picasso Museum, had a delicious meal at 7 Portes, walked La Rambla, saw Guadi’s custom home, and crashed into our Airbnb, which I will not recommend. 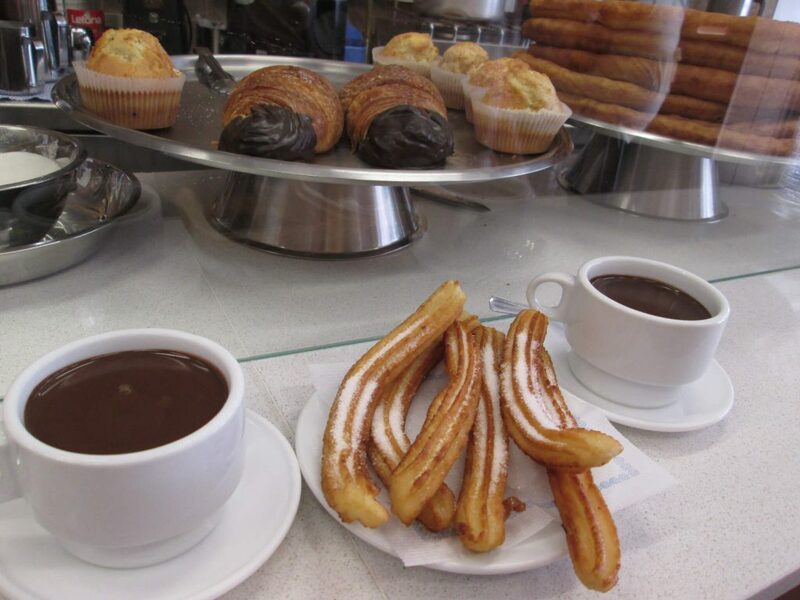 By the way, if you haven’t had the Spanish treat, chocolate y churros before leaving Barcelona, be sure to do it here. It’s a don’t miss item, for sure. We woke up, returned to the airport from whence we came, and left southern Spain for Bordeaux. I hope this info has helped you with logistics of getting around southern Spain and southern Portugal.